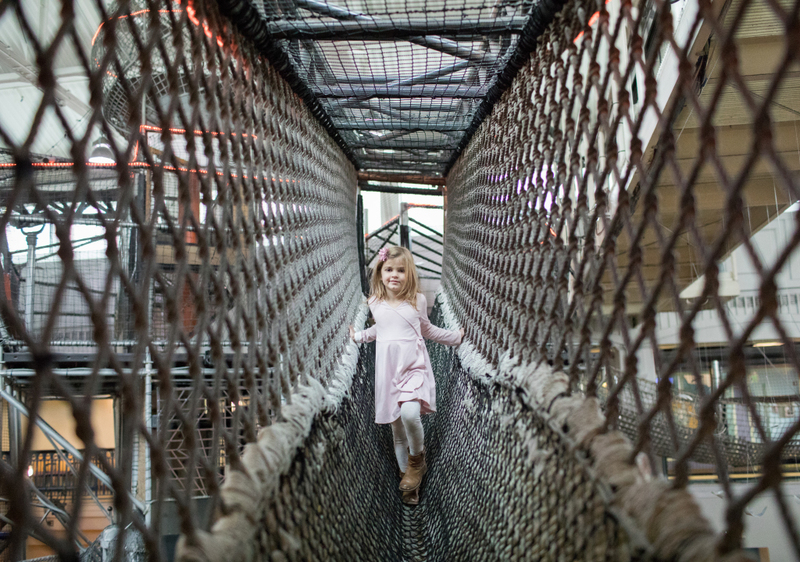 My girls and I have visited Port Discovery Children’s Museum in Baltimore a few times and always have so much fun! Washington, D.C. really doesn’t have anything like it, so it’s well worth the 45 minute drive just to visit the museum. 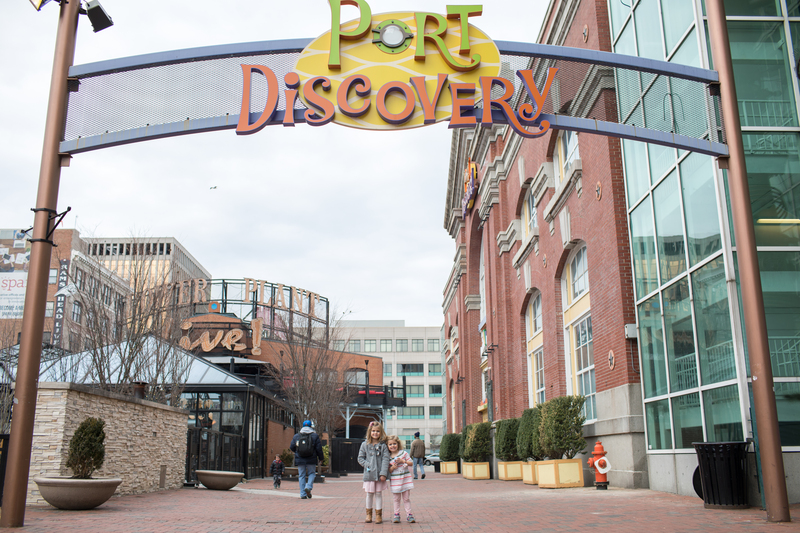 Port Discovery is located right in the inner harbor so it’s also convenient to check out other places and explore the harbor area while you are there. It makes for a nice little day trip! Once we arrived at the museum, my girls had quite a bit of energy to burn after sitting in the car for a while. So they climbed around on the amazing three-story KidWorks treehouse. This is so great for cold or rainy days when kids need to get the sillies out. 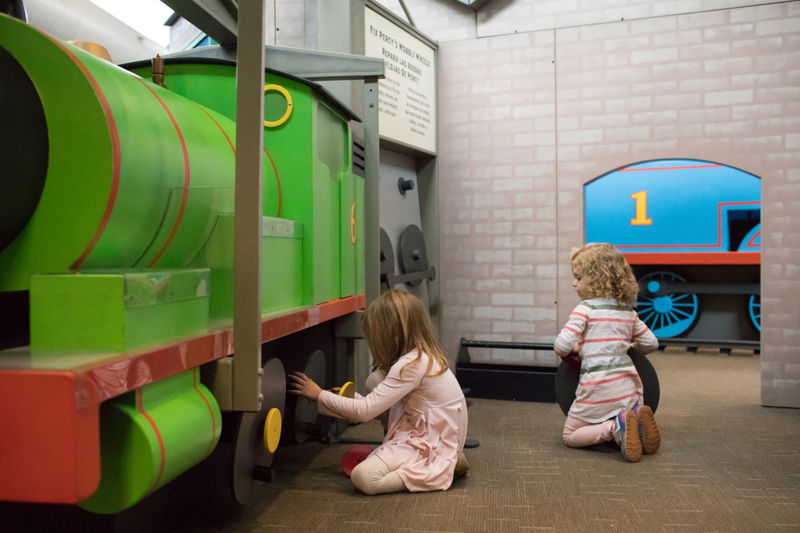 Then we headed up to the third floor to check out the new Thomas & Friends: Explore the Rails exhibit. This is a visiting exhibit and will only be at the museum through May 7, 2017 so make sure to get there before it’s gone! Developed by the Minnesota Children’s Museum and based on the popular book and television series, the exhibition is designed to help kids learn about science, technology, engineering and math through play – while interacting with their favorite characters! When we entered the exhibition space my girls first saw the life size Thomas the Train model and climbed aboard. 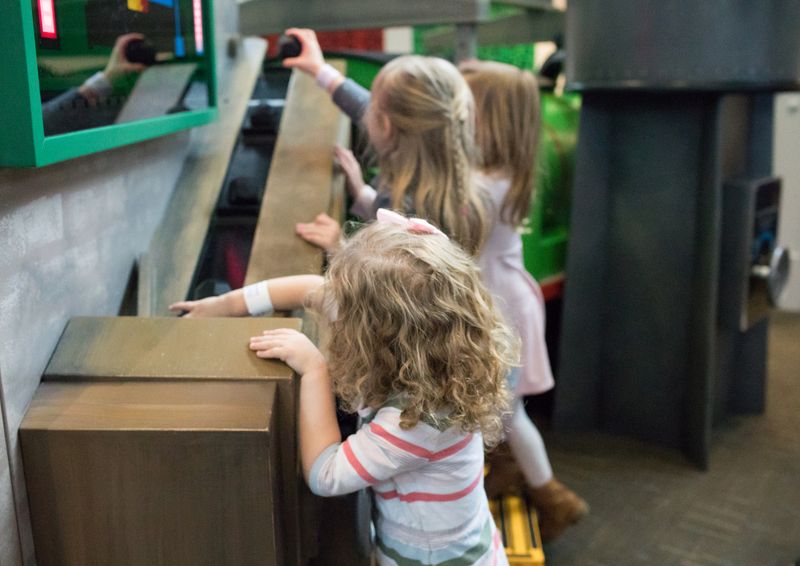 The cab has levers and other moveable parts the kids can explore while they play conductor. There are even costumes the kids can wear! My girls especially loved the role play parts of the exhibit. 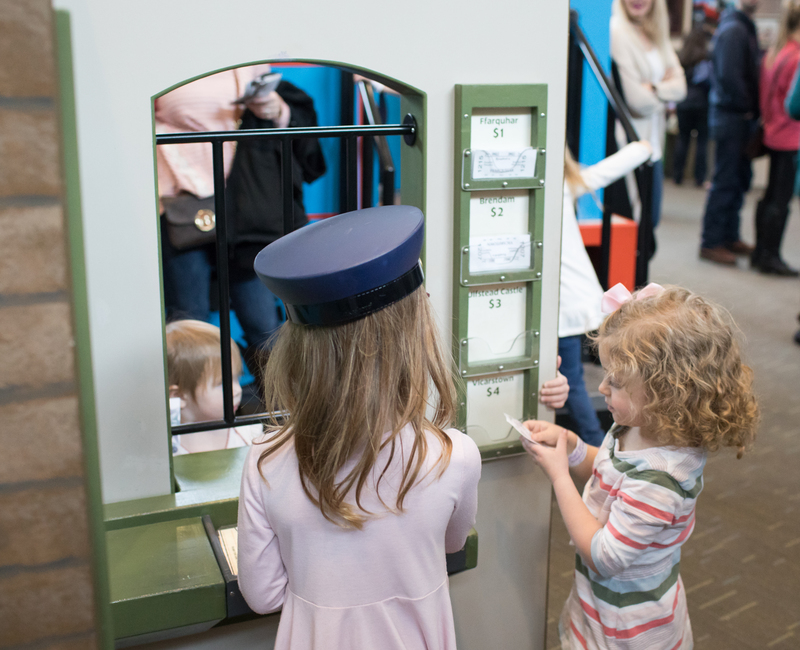 There is a little ticket window with paper money and tickets to different destinations where we played for a long time. Behind the ticket window there are a few train cars the kids can climb into and pretend they are passengers on the train. There is also luggage and other goods they can use to help load and unload the train cars. On the opposite side of the exhibit is Thomas’s friend Percy. At this station the kids get to help fix Percy’s wobbly wheels. They can experiment with different size wheels, bolts, and rods to see what works to fix Percy. Just on the other side of Percy is a guide to Steamies, where children can learn all about how they work. To get Percy going, the kids can load coal and add water to the boiler. The exhibit also includes a large train table modeled after the island of Sodor. This was a very popular spot in the exhibit. The table is plenty big and had lots of trains so many children can play there together. 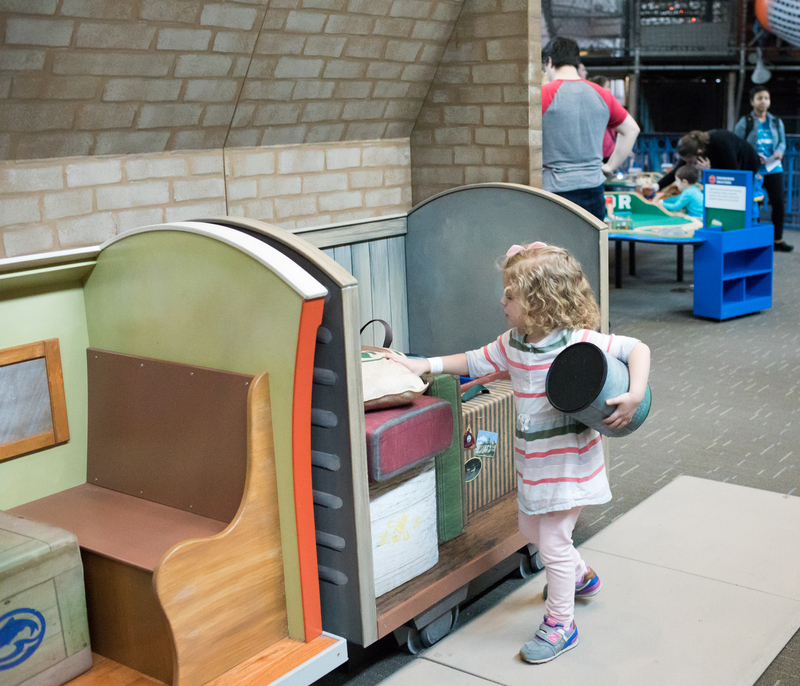 The Thomas & Friends exhibit is so well designed with all of its interactive learning adventures. My girls played happily here for about an hour. It is definitely worth the trip if you have little ones who love trains. They will be thrilled with everything there is to do in this exhibit. After playing in the Thomas & Friends exhibit we explored all the other rooms in the museum. There is so much to do at Port Discovery, you can easily spend an entire afternoon here. 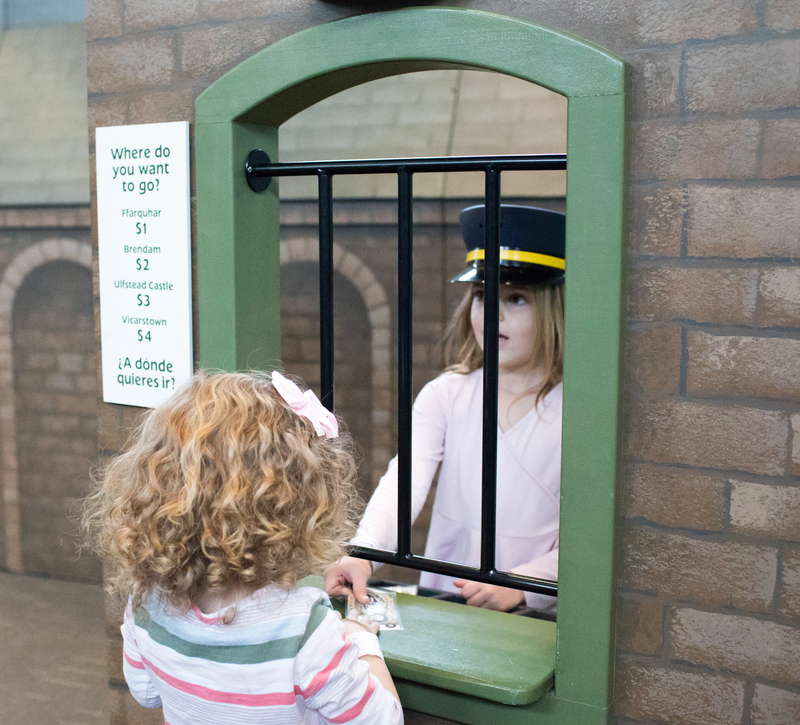 • The exhibit is best for ages 2 to 7. 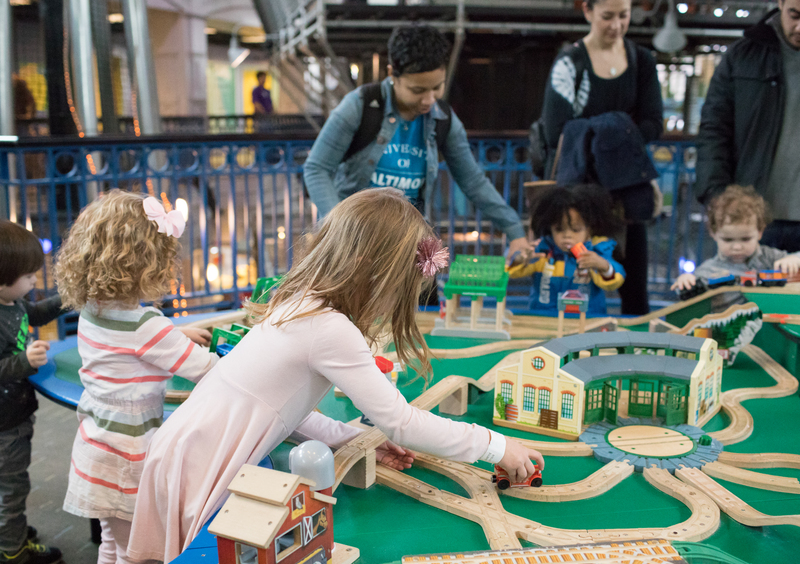 • Admission to Thomas & Friends is included with general admission tickets to Port Discovery. $14.95 for adults and children 2 and up, and free for Museum members. GIVEAWAY! I am excited to be giving away a family 4-pack of tickets to Port Discovery. To enter, simply leave a comment on this blog post. I’ll notify a winner on Monday, February 20th. Good luck! My kids would LOVE this Thomas exhibit. Thanks for sharing your review. I’ve heard so many great things about the museum but haven’t had a chance to go. My kids would love it. This looks AWESOME and my train-lover Reagan would go crazy for the exhibit!! We will definitely try this out, it doesn’t look too crowded either from your pictures!! It looks like so much fun! Thanks for the review and the giveaway opportunity! My son loves Thomas the train and he w old have so much fun at Port Discovery. This place has been on our to-do list for a long time. We plan on going for my daughter’s 4th bday. This looks amazing and thanks for your review and tips! We have never been but Ahaan would just love this museum! I would love to be able to take my granddaughter!! Thank you for sharing with us! We are planning on going in March! Winning the tickets would be great for our big family! We have been wanting to visit this museum! My girls love Thomas the Train so they would love this! 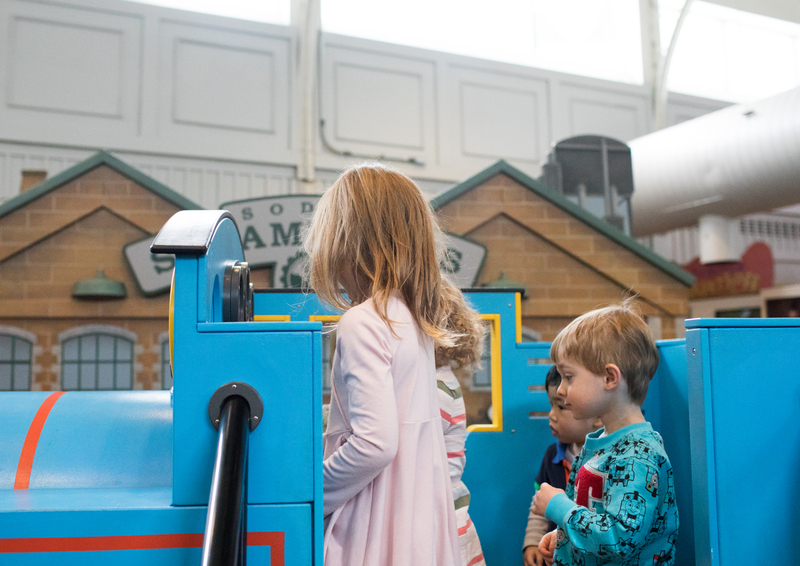 We are all train lovers and are so excited about the new Thomas exhibit! 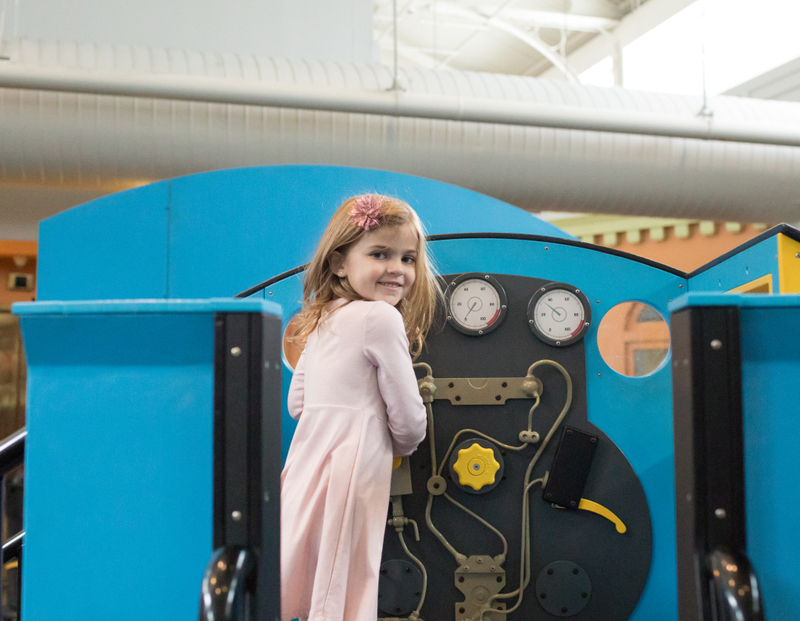 We have visited the B&O Train museum and would love to check out Port Discovery too! Thank you for sharing! We would love to see Thomas at Port Discovery!!! Brendan would LOVE the trains, and Molly would think that treehouse was the best!!! Thanks for letting us know about this. We could meet family there! I would love to take my kids there over spring break! Thanks for the info! This looks like a blast! Great review. Have been wanting to take my little ones up there. My son loves Thomas! I would love to surprise him with a visit! This looks amazing!! My boys and I would love to attend. My girls love Thomas! We are so excited to see this exhibit and we have yet to go to Port Discovery. I’m excited to see what else it offers. Thanks for the review! We’ve been wanting to check out this museum! Thanks for the review. Looks so fun! We love Port Discovery! Can’t wait to see the new Thomas exhibit! My son desperately wants to go! My two year old loves Thomas! I can’t wait to take him to this exhibit! My 2 year old loves Thomas! I can’t wait to take him to this exhibit! This looks like so much fun! Thank you for the review! I’ve always wanted to take my son and a cousin here! Thanks for the post. My son will love this exhibit! Can’t wait to visit! We have been wanting to take our 2.5 year old Thomas obsessed little guy since we saw this advertised. Would love to win this and take him and our daughter! Great review, definitely would love to check it out. Thomas and trains are the bees knees in our house. Sounds really fun! I would love to take my kids! 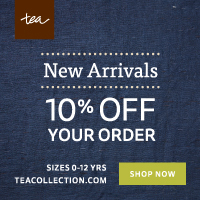 Thank you for sharing and this great give-away! Thanks for the review! Looks like a lot of fun! We love Thomas! My kids would go crazy for this!! Thanks for the opportunity! Love Port Discovery and my boys love trains!